Content distribution is not always at the front of a marketer’s mind once content has been produced. Marketers create great content that sits somewhere on a company website in hopes of visitors firstly discovering it to then make a purchase decision. A big portion of that content sits unused. Content marketing is not about creating content, it’s about promoting content. Marketers will keep track of KPIs such as assets viewed, the number of times content is downloaded or pages visited before a purchase is made by a visitor. The challenge that needs to be addressed is how to find a way to put their great content in front of their visitors quicker. Content personalisation is one method of addressing this challenge. 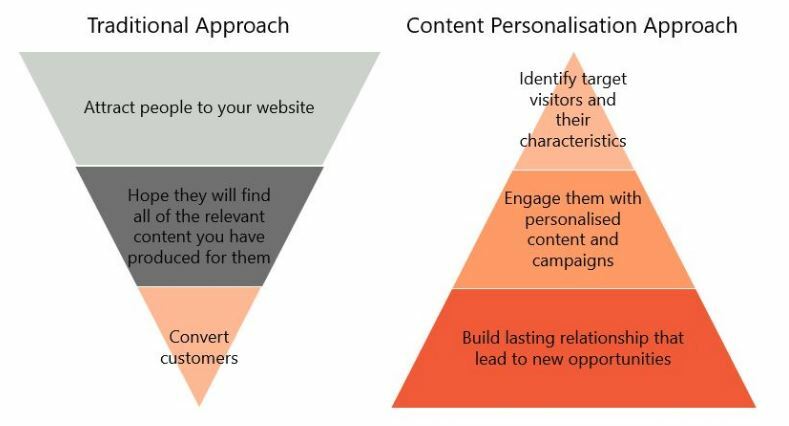 With a content personalisation approach, the focus shifts to the visitor. The first step is to identify target visitors and their characteristics (such as phase of the decision making process, interests, etc) and what types and genre of content will resonate with them. When these have been identified, you should engage these visitors with personalised campaigns and content. These personalised campaigns are more likely to help you build a lasting relationship and develop your opportunity to sell. With content personalisation there is a strong alignment of content marketing and data analytics, where data analytics provides the backbone for personalising the user journey and at the same time supplies marketers with meaningful insights about content performance. Let’s look into the steps you should consider in the process of implementing a content personalisation program where data analytics plays a key role. Business data is typically provided through a variety of sources. The first positive result of implementing a content personalisation programme is you will have thoroughly reviewed you data and data sources, and assessed whether you currently have the right infrastructure in place. When assessing your data infrastructure, you should consider whether you need to have a separate server for data collection, a data warehouse to process the collected data, a computing capability that will perform complex calculations for your predictive models and finally a repository, which allows you to quickly serve and publish personalised content. If you do not have the correct data infrastructure in place, it’s clear that at this stage you either need to acquire additional means of data or you need to clean and process it to get and keep your data in order. A great way to organise your data further is to catalogue and aggregate all of your available assets and content. You will then be able to apply relevant meta data, describing the topic of each piece of content and who that content may be relevant to. Deep learning models such as image and video recognition, or natural language processing can aid in this process, automatically organising, tagging and adding keywords to your library. Along with organising the content comes the creation of dynamic elements on your website. Those elements will show personalised content depending on content tags and tailor the user journey of each target visitor. Now that your business content and data is all in an available format, you’re able to proceed to identify which visitors are the most valuable to you that you need to target with your great, personalised content. 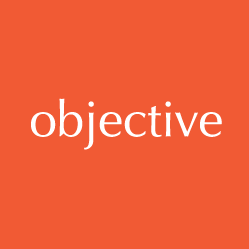 This means conducting a process of data-driven selection which will allow you to focus on visitors with specific product interests or visitors at a specific phase of the decision making process. If you want to further focus on the most promising of you selected visitors you can use predictive scoring. By combining behavioural data and characteristics into a model, you can classify visitors by certain parameters, for example their level of engagement, how flexible are they in the parameters of their search, and other variables which are important to your sector. You’re now at the point where you can deliver those highly relevant, personalised content pieces you have created at your visitors’ fingertips. For example, you could tailor the header hero images to the context of the individual session, pushing recommended assets or have certain images and content pieces above the fold of the page. Next, you can use data from your customers’ previous interactions. You can setup a smart system whereby personalised and highly relevant messages, such as emails or push notifications, are generated. The final stage of implementing a content personalisation programme is to deliver campaign insights back to the rest of your team. This means real time information, notifications for any changes in content underperformance and clear evidence of the role content plays into converting visitors into customers and building a lasting relationship with those customers. Content personalisation is a flexible approach and marketers don’t need to turn everything they are doing right now up-side down. The best way to start is to run a pilot, prove that it works and then scale up. Some of the best ways to implement content personalisation is by partnering with other teams and looking for opportunities to roll up the content personalisation activities together with other planned work such as a website redesign or change of a web analytics tool. The best justification for content personalisation is its success – a success driven by utilising data and content that otherwise could sit unused. Get in touch if you need advice on how to start your content personalisation journey using data. You may also be interested in predictive analytics.